Visitors to our web sites (or one of our affiliate sites) have the opportunity to enquire about mortgages and other financial services using the online enquiry form to be contacted by a local Mortgage Adviser. 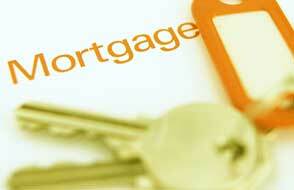 Once a potential customer fills in the questionnaire online they expect a call from a ‘named’ mortgage advisor. You MUST contact them within 1 hour to get best results - ‘The Golden Hour’. We distribute the lead to the adviser that has nominated the postcode that the lead has been generated from and a new mortgage partnership is born - simple as that! We email and text the leads instantly to you - so that you can contact the potential customer while their mortgage needs are still in the forefront of their mind. You can also view your leads online in your own control panel. We offer a "mixed bag" of mortgage leads - Remortgage, Purchase, BTL, FTB, and next time buyer in our mortgage offering. These leads can be purchased by 3 methods. Minimum contract purchase of ten leads per month payment taken upfront via debit/credit card no contract. Register your details to receive preview leads. Cherry pick leads as they are created in real time and pay for them online by credit or debit card. This option is suited for advisers who wish to purchase ad-hoc. Prime remortgage leads generated from our own dedicated websites. Minimum contract purchase of ten leads per month payment taken upfront via debit/credit card no contract. Mortgage Term and Life Insurance leads. These leads are a new source of business that enables advisers to diversify away from traditional mortgages. I've used other sources of leads - what's different about yours? Since users have visited one of our enquiry forms, it means that they are serious and need mortgage / Life Insurance now. We consider this most important, as enquiries from potential customers who have taken the time to complete a detailed enquiry form which means they are serious, self motivated prospects! New incoming enquiries are sent to brokers in "real-time" and are only seconds old when you receive them. In theory you could be contacting the borrower whilst they are still sitting at their computer! They are expecting and waiting for your phone call.